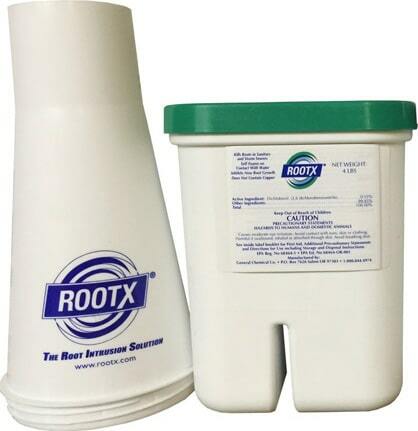 RootX Foaming Root Killer - 2lb Jar w/Funnel & Free Ship! 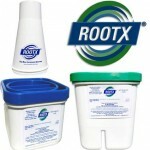 RootX Foaming Root Killer - 4lb Jar w/Funnel & Free Ship! 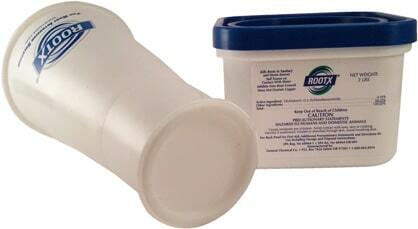 RootX Foaming Root Killer - 6lb Jar w/Funnel & Free Ship! Sand Mounds, Lateral Lines and RV Tanks! 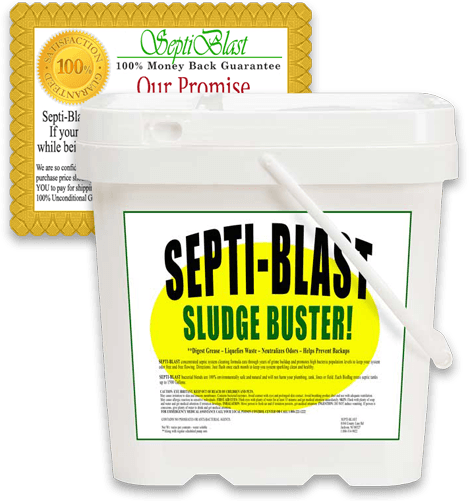 100% Effective and 100% Guaranteed, SeptiBlast™ Septic Tank Cleaner restores and clears out failed septic systems and drain field lines regardless of condition! When over the counter additives “Just Can’t Cut It”, Powerful SeptiBlast™ effectively rejuvenates clogged septic tanks, cesspits, sand mounds, RV holding tanks and all other septic systems! Annihilate Clogs and Sludge with SeptiBlast™! Up to 500 Times Stronger than Competing Brands & Cleans Drain Field blockages and stops odors in their tracks! Safe to Use, Non-Toxic and Just One Dose Per Month! IS YOUR SEPTIC SYSTEM WARNING YOU THAT IT MAY BE FAILING? Do you suffer from septic odors, slow drains or clogs? Do you limit laundry loads for fear of backups? Are there raw sewage odors in your home or yard? Are you worried your neighbors will complain? Is your septic system issue slowly getting worse? SeptiBlast™ Will Rescue & Clean Your Entire System! DESIGNED TO WORK LIKE NO OTHER SEPTIC CLEANER! The secret is our powerful, ultra-fast granular bacteria powder that enters your system and multiplies at an astonishing rate! Doubling in numbers every 20 minutes to rapidly digest and clear out toilet paper, black sludge and waste material in all drywells, septic tank systems, leach fields, drain fields, lateral lines, sand mounds, cesspools, seepage pits and RV holding tanks! 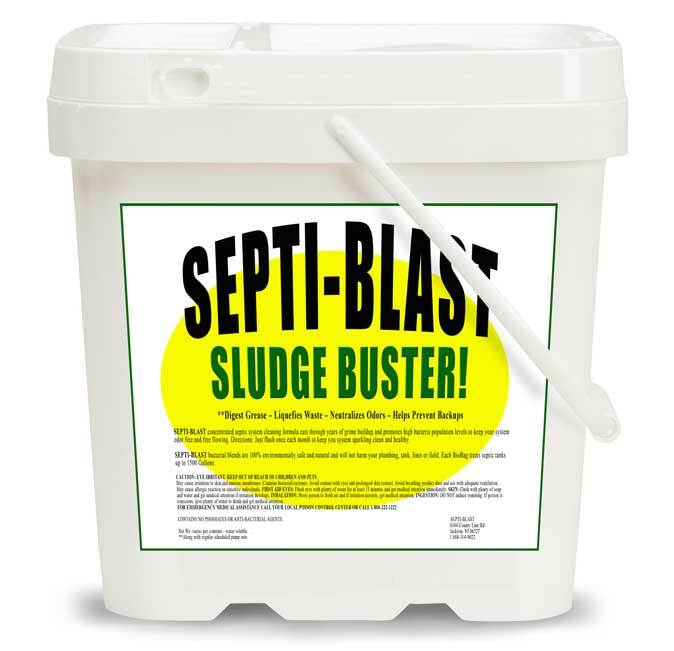 Order Now to Start Using SeptiBlast™ Septic Tank Cleaner on Your System! SeptiBlast™ is formulated with highly concentrated bacteria that pass through your commode and out to your entire system to attack the bio-mat and sludge buildup where it occurs. Our lab-cultivated strains of bacteria allow for the rapid digestion of paper, fat, oil, grease and all other organic waste wreaking havoc on your system. SeptiBlast™ cleans away clogs, rejuvenates failed drainage and defends your system against failure. 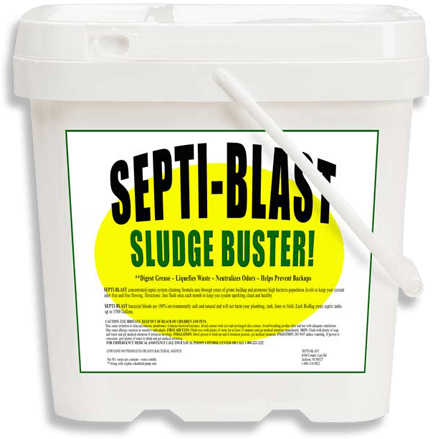 SeptiBlast™ is the nation’s top septic rejuvenation solution and packs more bacteria per-cost than any other septic tank cleaner available! Our adult kids moved back home after suffering a financial blow and within months of higher than normal use, our drywell was becoming soggy, needing pump-outs every 2 months. We tried to limit water use but that only seemed to slow things down just a little. 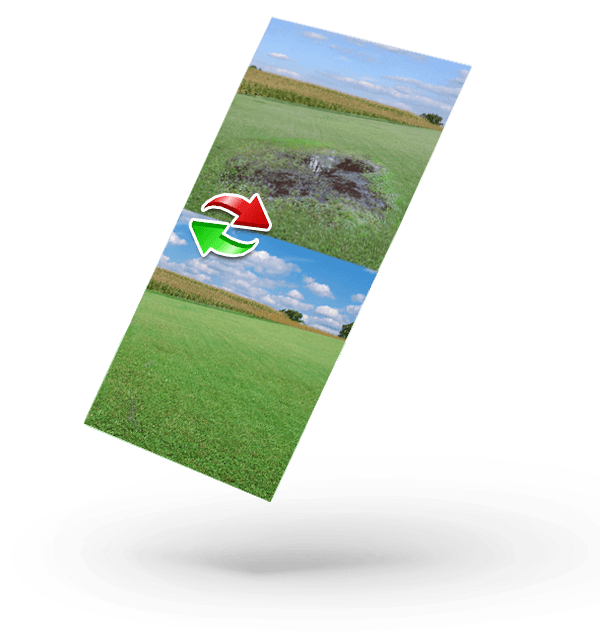 Within weeks of using SeptiBlast to clean the system, we noticed that the wet and soggy areas over the drywell are beginning to dry up and I can actually mow over that area now without worrying about my tractor sinking in mud. We tried a few other septic tank cleaners, with little results, before going with SeptiBlast. Thank you SeptiBlast – Your system has made our newly expanded family much more comfortable. We still keep an eye on the water use but no longer have to worry about coming up with $20,000.00 for a whole new septic system with lateral lines and an aeration chamber. You sure helped us out! We live in a dry zone and get little annual rainfall so we were somewhat surprised when we started developing moisture over our leach field lines. We gave it some time to allow the dry air to help evaporate the area but as things progressed, the bathroom area started to emit odors. 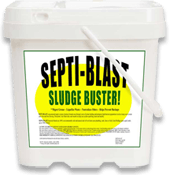 We realized that we had an issue and decided to try the Septiblast septic tank cleaner before calling an installation firm. About 4 days into the treatment we noticed that the odors in the bath area were nonexistent and 3 weeks later the wet spot area over our lines began to dry up. 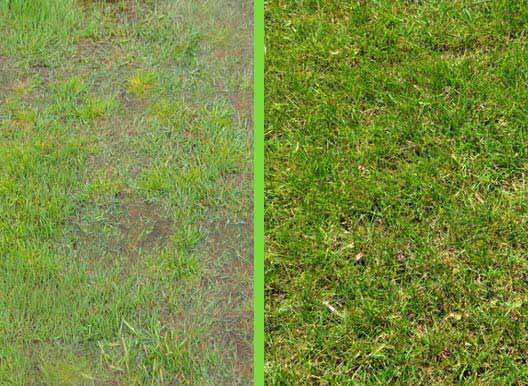 We have been experiencing a steady drying up effect around the field area and we are very relieved that we do not have to contact septic companies for new system quotes. As of now, the tank and lines are functioning fine and we are very glad that we used the product. Thank you for all of your help in working with me to clean and unclog my septic system. My main septic tank was packed with black muck and my leach lines would no longer take on liquid. I was having my tank pumped every two months at $375.00 each time and my pumper was hinting that he was going to have to turn me in to the health department; forcing me to upgrade my system if I needed to empty my tank again too soon. I am now at the five month mark and so far, no pump-out needed and the liquid in my tank is much, much cleaner. Brand new septic systems in my area have to be what is called a mound type system and the total install would have cost me close to 25k alone (not including the cost to re-do my landscaping). Great product and I am very pleased with the results. Dear Septiblast, PLEASE SHARE THIS WITH YOUR READERS! With all the news lately about fake reviews on the internet, most savvy internet users know that the internet is full of fake reviews. Still, while conducting my research, I was shocked at just how many scams I uncovered in the septic additive industry. Some scams claiming to be the ‘Standard’ that all aspire to be – have only been around for a few years? Believe it or not, some of these companies have been arrested by the FBI and some are posting fake customer reviews and fake plumber reviews on their own websites! Some of the websites claiming to sell the “Best” septic additive products turned out to be full blown scams. The websites are created to look like a ‘Septic Product Review’ site to try to trick you into buying the ‘#1’ or “Best Rated” product. They claim that they ‘tested ALL products‘ and that their ‘users‘, ‘testers‘ or ‘plumbers‘ were ‘shocked!‘ by an amazing product that miraculously outperformed all others! Truth is, there are no ‘testers’ or ‘plumbers’ and the entire website is a fake scam. The deceptive website owner is simply trying to push his/her own product by giving it a fake #1 rating and using a fake ‘homeowner’ or ‘tester’ story to fool you! That’s right, it is the website owners own product that ranks #1 on their fake comparison chart. They do this to mislead you into buying what you ‘think’ is the best product. It is a blatant scam and sadly, people actually fall for it. After thoroughly researching most all brands I could find online and at my local Home Depot, I decided to go with Septi-Blast and I am glad that I did. My toilets never back up anymore and the odors are completely gone! 7 SIGNS THAT A SEPTIC BLOG OR WEBSITE MAY BE A SCAM! 1) The Website Shows Comparison Charts With Familiar Store Brands (Like Rid-X) at the bottom of their charts, while rating their ‘scam’ brands way at the top as both the #1 and #2 ‘High Rated’ products. They pretend they only ‘Carry the Best Brands’ when in realty, the ‘Best Brands’ just so happen to be the website owners own brand. This type of scam is popular and known as the “Fake Ratings scam and the website owner hopes that you will be fooled into buying the higher rated ‘sham’ product. 2) The Website Reviews Several Different Septic Additives – Claiming that they all Worked a ‘Little’, But Just Not as Well as Their ‘Best‘ septic treatment. They claim they are one of the few “lucky” stores able to sell this ‘superior’ miracle product yet it isn’t sold anywhere else on the internet! 3) They Create ‘Blogs’ or ‘News’ type websites using phrases like “See Which Product Performed Best!”. At first glance they appear to be non-biased review type sites but their goal is to trick you into buying their ‘own’ product that they fraudulently rate as #1. 5) Testimonials Showing Pictures of ‘People’. Would anyone really send in a photo of themselves after using a septic treatment? Answer: Scammers know that using ‘images of people’ is a powerful way to help sell products. 6) Clicking their ‘Disclaimer’, ‘FTC’ or ‘About Us’ link takes you to a page explaining that their reviews or opinions are “fictional” or “advertorial”. Meaning, the entire website is full of reviews and false claims. But, scammers know that people rarely click disclaimer pages etc. 7) They place ad’s on Google like “Septic Treatment Scams” to fool you into thinking they will help you avoid a scam. The crazy thing is, THEY ARE THE SCAM! And, their ad is just another trick they use to (hopefully) scam you! 100% Guaranteed As Long As You Own Your Home! Lowest Price Available & Free Shipping on All Orders! Select your plan below based on your systems current condition. 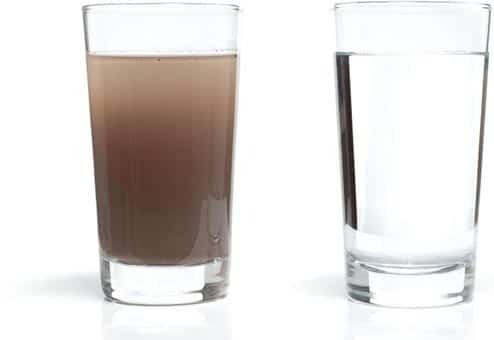 Septic system age is not as important as the amount of water usage coming from your home as ‘sand’ or ‘dirt’ does not age, but it does become coated with muck (also known as Bio-Mat) which needs to be digested and cleaned to restore and maintain flow. SeptiBlast™ Septic Tank Cleaner works in cold and warm weather climates and is fully compatible with aerobic (systems with an aerator or air pump) and anaerobic (systems without an air pump or aeration tank) septic systems. 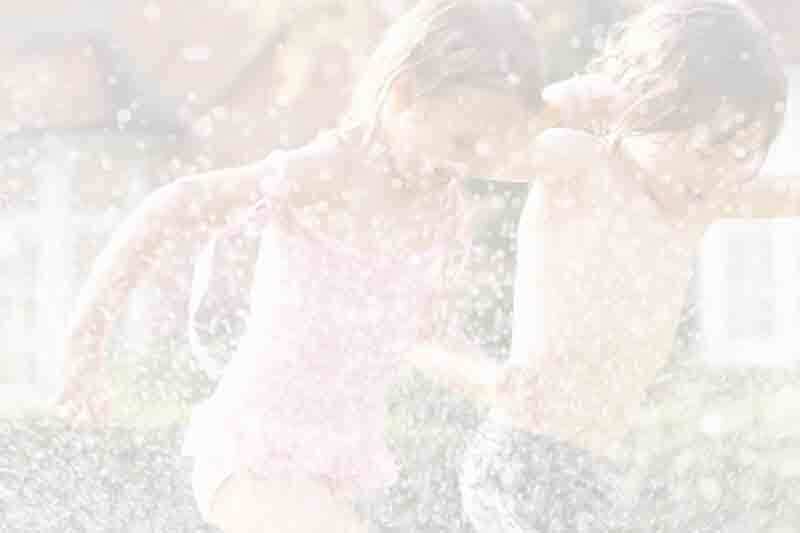 Unlike other granular treatments, powerful SeptiBlast™ cleans clogs and blockages throughout your entire system. Upon entering your commode, trillions of specialized bacteria are released into your system where they travel to your tank and out to your drain field lines or cesspit drainage system. Most systems experience an immediate reduction in symptoms within a few hours to days. 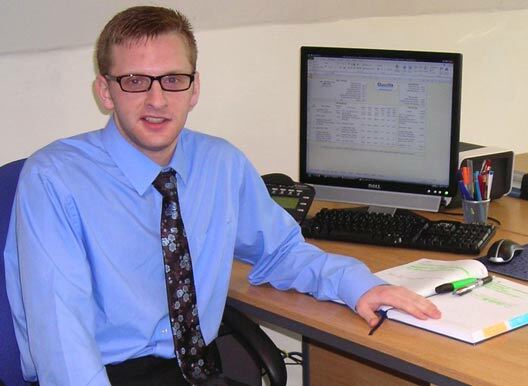 Full flow restoration and complete cleaning can take up to 6 weeks for severely troubled systems. LIGHT TREATMENT KITS – Best cleaner for systems showing little to no sign of trouble. Used to keep clean, maintain and prevent future clogging and backups in septic tanks, lateral lines, drywells, sand mounds, seepage pits, cesspools, cesspits, RV tanks and all drain field or leach field designs. MODERATE TREATMENT KITS – Best cleaner for systems showing some trouble signs such as periodic clogging or gurgling noises, light wet spots or moisture, sporadic odors in or outside, random slow drainage in commodes, sinks or showers. Used to clean and rejuvenate tanks, lateral lines, drywells, sand mounds, seepage pits, cesspools, cesspits, RV tanks and all drain field or leach field designs. HEAVY SHOCK TREATMENT KITS – Best overall line and septic tank cleaner for systems showing SEVERE trouble signs such as clogging or gurgling noises, wet spots, odors in or outside, slow drainage in commodes, sinks or showers. Used to clean and restore severe issues in septic tanks, lateral lines, drywells, sand mounds, seepage pits, cesspools, cesspits, RV tanks and all drain field or leach field designs. Need Help Selecting The Right Kit or Just Have Some Questions? RootX Foaming Root Killer - 2lb Jar NOB w/Funnel & Free Ship! RootX Foaming Root Killer - 4lb Jar NOB w/Funnel & Free Ship! How do septic tank cleaners actually work? What is the cost of a new septic system? Copyright 2012 Septi-Blast, Inc. | All Rights Reserved | Septi-Blast, Inc.
How Can A Septic Tank Cleaner Protect My System? Clogged lateral lines normally result in interference with shower use, washing laundry, running the dishwasher and other everyday household water use. Septi-Blast septic tank cleaner eats through to the trouble zone and digests years of sludge, grime, grease, fats and oils by breaking these organics down into water and gases. 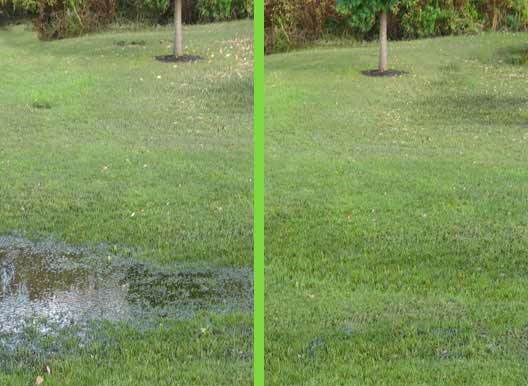 While treating your system with Septi-Blast, you can rest assured that you system is protected by a commercial grade septic tank cleaner specifically formulated to digest clogs and restore flow to your failing drain field lines. Laundry detergents, hand soaps, shampoo, dishwasher detergent, shampoos and many common household cleaners all play a major role in degrading septic systems performance. Septic systems are designed to be a clean and healthy "breeding ground" for bacteria - not a dump site for toxic chemicals and anti-bacterial products. Most homeowners are unaware that many cleaners cause unwanted buildup in your tank and drain field lines over time - leading to total septic system failure. Since your septic system didn't come with an instruction manual, most people are unaware of the crucial role bacteria plays in optimal septic system function. With chemicals depleting bacterial colonies, sludge and waste can not completely breakdown and eventually gets stuck in your field. You need fresh and healthy bacteria to assure that sludge and organics digest at optimal rates so as to avoid backups and wet spots. How did my septic tank get clogged in the first place? Laundry detergents, hand soaps, shampoo, dishwasher detergent, shampoos and many common household cleaners all play a major role in degrading septic systems performance. Septic systems are designed to be a "breeding ground" for bacteria - not a dump site for toxic chemicals and anti-bacterial products. Most homeowners are unaware that many cleaners cause unwanted buildup in your tank and drain field lines over time - leading to total system failure. Wastewater treatment plants around the globe use SeptiBlast to clean the tank and effluent to a degree that is suitable for repurpose. A residential septic tank cleaner works in the same way; cleaning at elevated rates to control excess buildup. Remember that your septic tank is a living 'thing' and unlike most life-forms, daily use of hard chemicals can hurt that delicate balance of bacteria within your system. 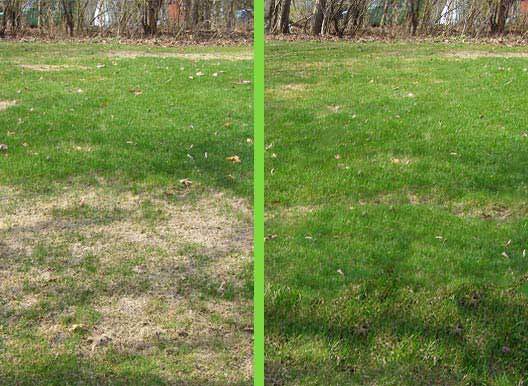 Excess water use also negatively effects septic performance as excess water leads to excess pressures, slowing down the septic cleaning process.